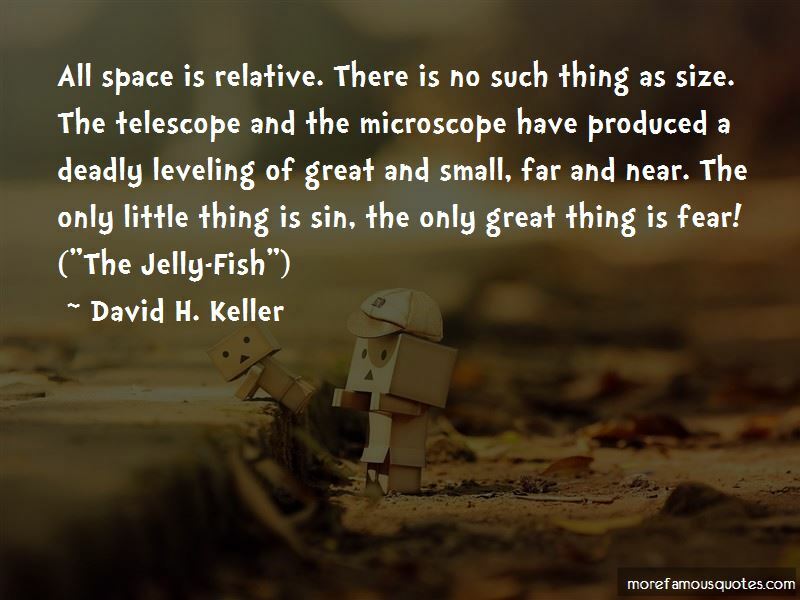 Enjoy the top 2 famous quotes, sayings and quotations by David H. Keller. “All space is relative. There is no such thing as size. The telescope and the microscope have produced a deadly leveling of great and small, far and near. The only little thing is sin, the only great thing is fear! “Crossing the meadow, he came again to the mouth of the cave where he had stood so undecided only the twilight before. Knowing what he would find, he yet wanted the final confirmation. Pushing the evergreen branches aside from the smooth rock on the right side of the opening he found, deeply carved in the rock, an Ankh, Egyptian symbol of ever-lasting life, made possible only by the union of male and female. Partly covered by lichens, weather-worn by centuries of storm, it remained as he had seen it in his first dream. It was the first cross, and on it, generation by generation, humanity had crucified itself in order that future generations might live. Want to see more pictures of David H. Keller quotes? 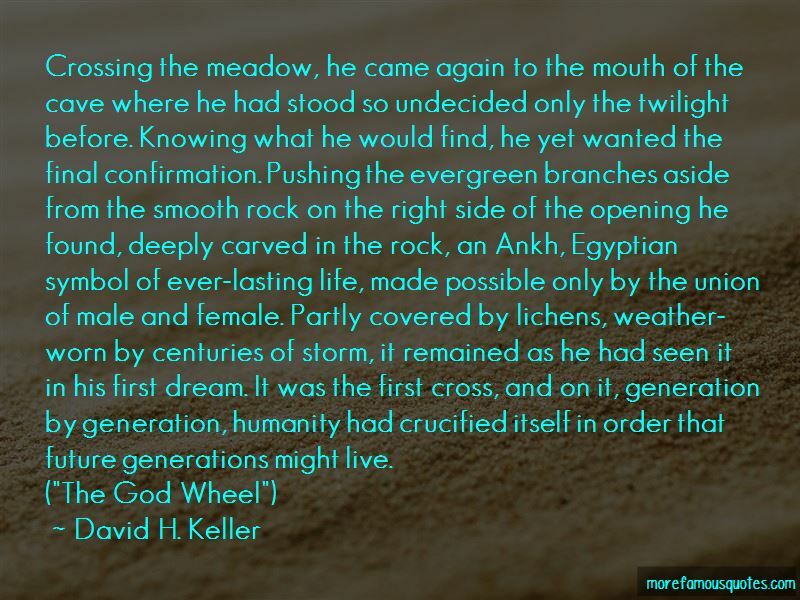 Click on image of David H. Keller quotes to view full size.